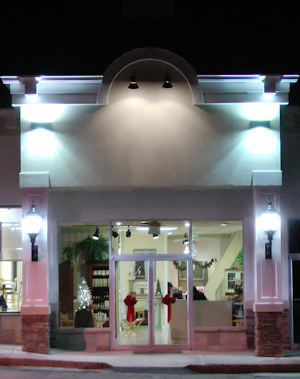 Current and upcoming events, news, and information about your favorite salon! 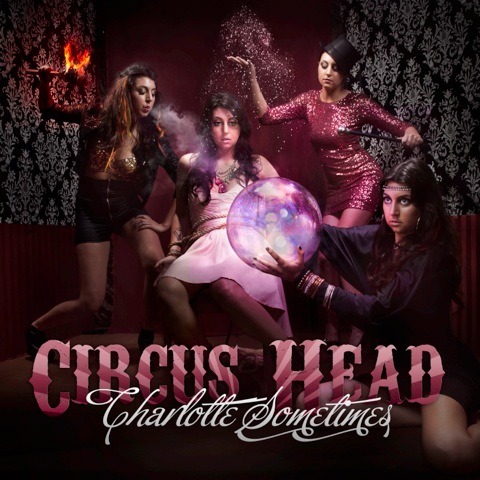 for her new EP, Circus Head. Hair and Makeup by Madison Avenue West. Check out Madison Avenue West's photoshoot with "triple-threat" Alle-Faye Monka, complete with a walkthrough of her entire makeup application, including links to each product used! Hair cut, color, makeup and photography by Madison Avenue West. Come behind the scenes with us on the photoshoot for Charlotte Sometimes' much-anticipated new EP, Circus Head, available this fall! Hair and makeup by Jeffrey Feldman, Madison Avenue West. The salon renovations are really coming together finally! It's been a long road, but we are very excited and proud of our new look! Our new floors will be installed on April 1st and 2nd, so we will be closed until Tuesday the 3rd. We regret any inconvenience, but the results will be beautiful! Hope to see you soon, and thank you for your patience through our renovations! We are super excited to work with Miranda McCauley again this weekend. Miranda has a modeling background also, so she's amazingly easy to work with, and the camera just loves her! Stay tuned to see what we come up with this time around, and watch for Season 2 of Brooklyn Is In Love coming in June! 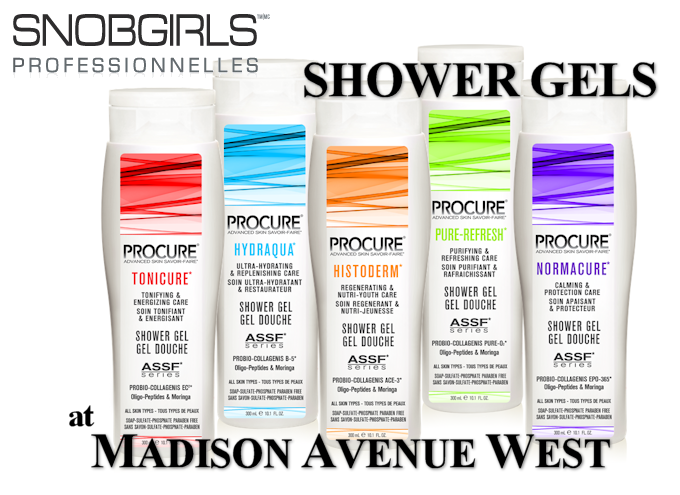 Procure Shower Gels are here!! The newest products in our line of Snob Girls Proffessionelles have arrived, Procure Shower Gels! These amazing, prescriptive formulas are FREE of harsh and drying Sulfates and Soaps. These non-irritating mild cleansing systems are plant-derived from coconut and purifying Moringa seeds. They deeply revitalize and protect as they gently cleanse without drying or stripping skin of its natural protective nutrients and essential hydrolipidic barrier. They help stimulate the natural removal of impurities and surface dead skin cells with a non-abrasive action to help skin breathe freely, facilitating the penetration of vital nutrients and deep essential moisture. Have you been watching The Voice?? Tune in to see Charlotte Sometimes perfrom in her Battle-round with (...?) Monday night at 8, on NBC! Also check out Extra on NBC to see an interview with Charlotte Sometimes, Tony Vincent, and Jermaine Paul from The Voice! To check out her blind audition from February 20th, check out our Charlotte Sometimes: The Voice page! I'll be adding more info about Charlotte's run on The Voice and some very exciting behind-the-scenes stories and pictures from the press tour I accompanied her on in NYC, as well as videos and articles from all the press she's been doing throughout her journey. The opening of Madison Avenue West's new Refinee Age-Reversing Skincare Center! As of March 1st, we will be offering a range of Refinee Facials and Skincare Treatments in our newly renovated Skincare Room. You will be able to not only pamper yourself, but treat your skin to a cleansing, exfoliating, and hydrating experience like no other. The innovative Refinee PEP-SYN™ COMPLEX pairs patented peptides that have clinically proven anti-aging benefits with complementary plant extracts that have century-proven healing power to create optimal age-reversing potency while keeping your skin soothed and hydrated. Refinee Age-Reversing Skincare is now available in our salon and here online. And as an introduction to this extraordinary line of products, all Refinee products will be yours at a 25% discount now through March 31, 2012. 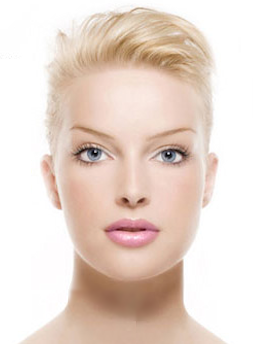 For more info on Refinee Skincare, click here! The premiere of The Voice: Season 2 on NBC right after the Superbowl! Our favorite Singer/Songwriter Charlotte Sometimes auditioned, so make sure you tune in to see if she made it! You can get a glimpse of Charlotte at the :39 second mark of this preview video! Wish her luck on Facebook here! And if you haven't already, check out our Behind-The-Scenes page of Charlotte's photo and video shoot we worked on last summer! The Voice: Season 2. Did she make it? Tune in February 5th to find out! We are pleased to announce that our interior renovation construction will begin on Monday, January 30 at Madison Avenue West. Construction will only take place during off hours on days that we are closed, and will not interfere with our daily operations, assuring that you, our valued clients, will not be inconven ienced. We have many new and exciting improvements taking place, as well as additional products and services we will be adding to our menu, including Refineé, a complete line of anti-aging Skincare and Facials. Thank you for being patient through all of our renovations. We hope you will agree that it was worth the wait! We'll keep you posted with any news, and will be posting the pics eventually on their own page. Hair and Makeup will be done by Pamela Lesiak and Jeffrey Feldman of Madison Avenue West Salon. Good luck to the cast and crew for a fabulous new season!! UPDATE: Our Brooklyn Is In Love page is up! Click here! Visit Brooklyn Is In Love on Facebook! As many of you know by now, the renovations of our storefront are almost finished (signage and awning are next), and we couldn't be happier with the results! We think it looks spectacular, but now it's time to do the inside! 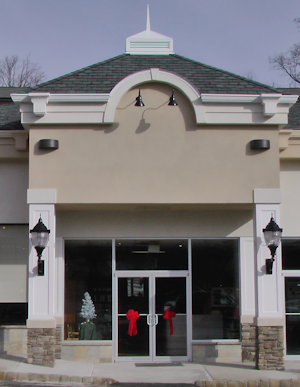 In late January of 2012, we will begin construction inside the salon, but work will be limited to Sundays and Mondays when we are closed. Although the crew will be cleaning up as they go, we apologize for any inconveniences in advance. We will be updating our reception area, (including a new desk, seating, and displays), changing our color scheme, replacing the wood floors which were damaged due to the outside construction, replacing our sinks and shampoo chairs, completely renovating our rest room, and enlivening many other esthetics throughout the salon. I would personally like to extend my thanks to all of our loyal clients, friends, and families who have been so patient during this arduous renovation process. 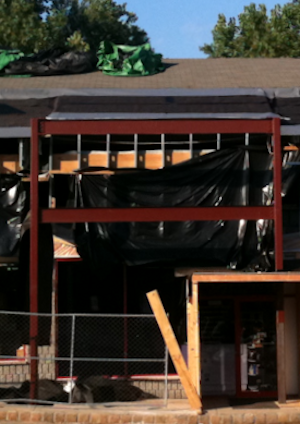 We are very excited to get all of the work done to make your visits even more enjoyable in the coming years. Thank you for all your support and understanding! I've heard many clients and friends over the years say that, while they like how they look with makeup on, they don't wear much very often, itf at all, because they don't really know how to aplly it properly. A lot of women tend to think of applying makeup as an annoyance, when it should be a source of fun, adventure, and a boost to your self esteem. Let's face it, ladies, when you look better you feel better, no? And if you can spend 5 to 10 minutes in the morning to make yourself feel good all day, why not do it? With these thoughts in mind, I started to create a section on our website to teach women the right way to apply thier makeup, as well as giving some time-saving tips to help make your makeup application a simple, easy, and fun task. MAKEUP 101 is a work in progress, and I will continue to add more information, enhance and expound on parts I've already covered, and introduce you to new makeup products that you may not have tried before or even known they existed. 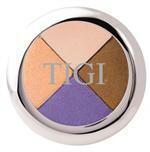 So if you're looking for some makeup help, tips or tricks, check out our MAKEUP 101 section! Any questions or tips you want to share? Email me at: admin@madavewest.com. Since launching the new Snob Girls Professionnelles line of hair care November 1st, our salon clients and internet clients all over the US have been blown away by this amazing new product line. Snob Girls is enhanced with rosemary oil, sesame extract, vitamins A, B, C, E & H, methionine, and oligo-protein rich nutrients and a plethora of botanical ingredients too lengthy to list here, but you can read and learn all about Snob Girls here! These products are so revolutionary, we guarantee you healthier, shinier, silky hair in 7 days, although you'll see results IMMEDIATELY after the first use. If you want to try a product, we recommend starting with the Snob Girls Bio-Serums, there are 15 capsules in each packette. Use one capsule before blow drying or styling. You will immediatly see a feel a difference: your hair will be shinier,s ofter and easier to manage. If your hair is dry or damaged, try using the En-Salon Protocol Shock Treatment. Shock Treatment is a deep conditioner that packs a mega-dose of natural biopeptides, powerful antioxidants, phyto-nutrients, multivitamins, essential lipids, hydrating agents, and exclusive proprietary nourishing complexes. 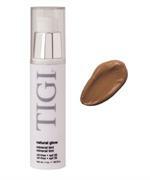 They help to nourish, repair, reinforce, and protect the essential internal and external structures of hair. There are 6 tubes in each box, but only use 1/3 to 1/2 a tube per treatment.